This is the event of the year to be at. 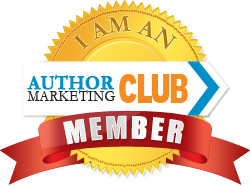 It gives you a chance to network with other authors and meet devoted readers. The Third Annual Wild Deadwood Reads event in Deadwood, South Dakota in 2019 is sure to be exciting. Our fabulous venue, the beautiful new Deadwood Mountain Grand, was everything we thought it would be, and more. And in 2019, we’re thrilled to bring you more authors, more events, and more opportunities to see the amazing sights in Deadwood and the Black Hills of South Dakota. Our multi-author, multi-genre Book Fair is just one of the exciting events happening next June. 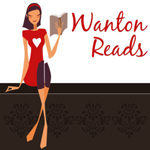 We’ve got a PBR Rodeo right in town, a basket raffle to support a local nonprofit organization, Breakfast With the Authors, a fun evening enjoying libations while listening to authors reading their favorite scenes from their books, and much more. Join us for a Legendary weekend! 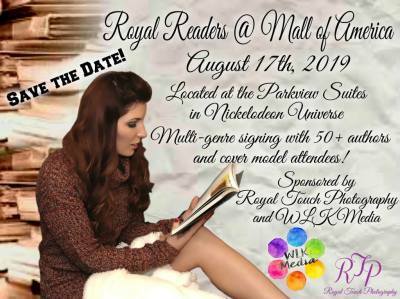 Royal Touch Photography is sponsoring a book signing in the Mall of America, the the largest mall in the United States. Located in the Parkview Suite inside Nick Universe, Bloomington, MN the signing be free to the public (VIP access available), and Royal Touch models will be in attendance. Check back for the full list of authors and models.